There are many different Elements that make each door special and truly custom. Please browse our options below. If there is a specific element you're looking for but cannot find it, ask us about it! 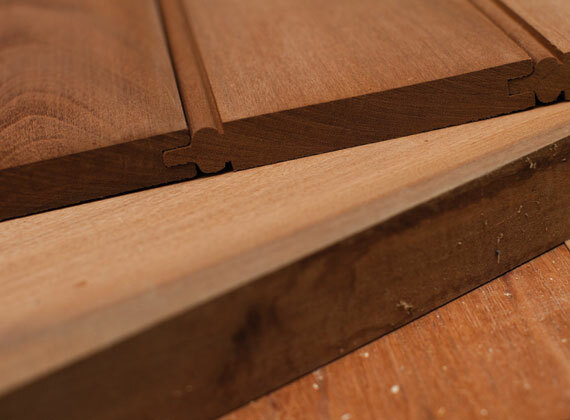 Spanish Cedar is the preferred material used for all our Mortise & Tenon Doors. Other species of wood available for a limited style of door is: Western Red Cedar (both clear and standard tight knot), Eastern White Pine, Mahogany, Doug Fir & Poplar. Tempered Glass is often used in applications where standard glass could cause potential danger. Tempered Glass is stronger than standard glass and does not shatter into small sharp pieces when broken. This is important because it can greatly minimize potential danger. In the case that the Tempered Glass would break, it shatters into small pebbles with NO sharp edges. Tempered Glass can also sustain high heat. Tempered Glass is available in 1/8", 1/4", or 1/2" insulated. The door style and design will determine the glass option best suited for your door. For our wood doors; pre-staining and pre-finishing is available upon request. However, the standard practice is to have the door finished (painted or stained) by the customer. For our steel and aluminum doors; these doors receive a baked-on powder coat finish prior to the installation of the wood, composite or glass inserts. There are many color options. Hardware is more than a way to open, close & secure a space. It is a unique part of a room or buildings design. There are a wide variety of hardware (both decorative and functional) to select from. We typically use Emtek Hardware because of their wide variety and quality of work. We encourage the client to browse our selection or use their own sources.